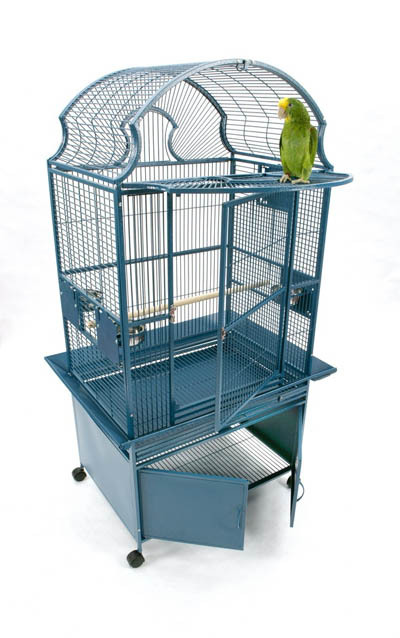 Cage Colors - Please note Blue, Green and White colors shown below have been discontinued and are no longer available. Quality textured, powder-coated finish with a surface that's easy to clean! Our cages require a shipping quote to be obtained for your approval. This quote reflects the actual shipping company’s charges for delivery to your city/zip code location. We have chosen to offer our cages in this manner to provide the lowest prices and fairest shipping costs for your purchase. We request the lowest shipping quote available to your location. A shipping quote can be obtained before or after submitting your order. Before order submission please contact us by phone at (760) 723-8667 between 9am and 6pm PDT/PST, or you will be contacted with the quote information after your order is received and prior to processing.